Even though your tooth enamel is tough and strong, it is still subject to the wear and tear of your lifestyle. While you might think that simply brushing and flossing your teeth regularly is enough to keep teeth healthy and strong, it's not always going to protect your teeth and mouth. Acids in foods such as citrus fruits can damage enamel, wearing it down over time. The effects won't show right away after you consume the food either, so many people don't realise they are harming their enamel before it is too late. Damaging your tooth enamel is rarely an overnight process, which means that a lifetime of bad habits may not show up until your middle-aged years. By then, it's harder to deal with the damage. What can you do now to boost your dental enamel? Believe it or not, saliva is good for tooth enamel. When tooth decay initially begins, saliva has a protective effect in the mouth, giving calcium and phosphate to strengthen the surface of the teeth. It also helps to rinse food away from teeth and prevent acidic plaque from sticking to teeth. Unfortunately, many things can make your mouth drier. The result is that it's not just that your mouth is uncomfortably dry but that your enamel can suffer. Some medical illnesses and pharmaceutical drugs can cause a dry mouth. Certain autoimmune disorders, for instance, can lead to a dry mouth. A number of drugs such as antidepressants can cause dry mouth as well. But you can't very well remove your health condition or stop taking drugs. So what can you do? Not everyone who has these conditions or takes drugs will experience the side-effect of a dry mouth. For those who do, speaking to your doctor about altering the dose might be enough to stop dry mouth. On top of that, there are other tactics you can try. Not only can chewing gum help with a dry mouth but also, there are now ones specifically formulated to help with oral hygiene. Some gum formulas even have a type of calcium phosphate to help boost dental enamel. Fluoride has been shown to help boost dental enamel. It strengthens teeth and can promote saliva's beneficial qualities that help keep your teeth and mouth healthy. 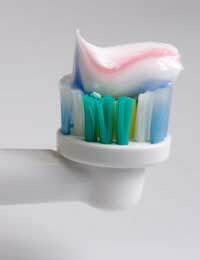 For the average person, brushing twice a day with fluoride toothpaste and drinking fluoridated water is sufficient to help dental enamel. Yet with our growing culture of bottled water drinkers, some people may not be getting enough fluoride to help protect their tooth enamel. What are the options? Speak with your dentist if you don't drink fluoridated water. He or she might consider using a fluoride treatment that is performed in the office. A fluoride solution is painted on the teeth and then left for a short period of time to penetrate. This can be done a few times a year to give enamel a boost. Other fluoride options include using a mouthwash that contains fluoride to keep teeth healthy. You can use these rinses once or twice a day for maximum benefits. Those who already have the early signs of gum disease can obtain prescription mouth rinses from their dentist. Keeping tooth enamel healthy is easier today now that we know more about what to avoid and what to include in a healthy oral hygiene programme. Talk to your dentist about the best ways to keep your tooth enamel in the best shape possible.